Last year, in a phone conversation about the costs and benefits of blockchain architecture, a source said to me with slight exasperation in his voice, “You know, you don’t need a blockchain to build a swimming pool.” It was meant to be a facetious commentary on the state of the industry. That was spring 2017, and blockchains, or at least the word blockchain, were being slapped on everything. IBM and Maersk had just built their own blockchain to track international shipments. JP Morgan was deep in a project to issue financial instruments on a blockchain. Before you knew it Disney, Ford Motor Company, Toyota, Anheuser Busch, and even Kodak (yes, the company that makes your film) claimed to be squeezing magic from the blockchain. In blogs and think pieces, writers predicted that blockchain technology would transform artificial intelligence, health care, publishing, and the electrical grid. Much less, however, was being written about what a blockchain is and how it works. The fact is that blockchain technology is not a magic bullet. Rather, it achieves one very specific thing: coordinating the sharing of data between mistrustful parties in the absence of a central authority. Now that we have this “trust machine,” as some have called it, people are naturally looking for places to apply it, and they are narrowing in on those systems where trust has traditionally been an issue. We have treaties, export laws, and international agencies that safeguard the activity of states in possession of nuclear material. And soon we may have blockchains. But first come the proposals, of which there are many. Just this spring, Antonio Guterres, secretary-general of the United Nations, named nuclear safeguard reporting, a function of the International Atomic Energy Agency (IAEA), as a potential application for blockchain technology. However, given the complexity of this new tool, many researchers are beginning their explorations with a dive into the fundamentals, defining what blockchain technology is and what features it has to offer. “One of the biggest challenges with blockchains is trying to explain to people what it actually is,” says Arnold. Often the best way to start is at the beginning. In 2009, bitcoin, the world’s first peer-to-peer digital currency, demonstrated a novel way to take the trust we place in the humans who manage our currency system and replace it with computer systems. 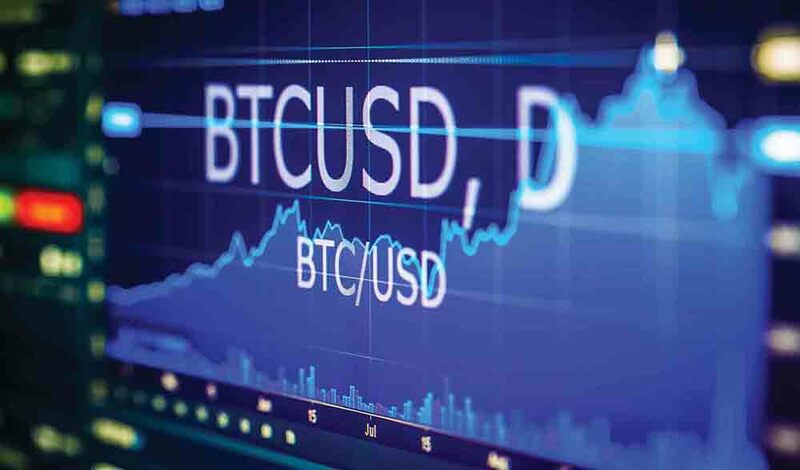 Bitcoin established a single repository of financial transactions and entrusted its curation to a distributed network of computers, removing governments and traditional payment processors from the picture. The architecture that facilitates this collective is known as a blockchain. As it is used in bitcoin, a blockchain provides one very specific capability: it allows a group of mistrustful members to collectively build an indelible dataset and to agree on the ordering of the entries. Each addition, once accepted, cannot be removed, nor can its place in the dataset ever be altered without throwing up a red flag for everyone else to see. This invulnerability to tampering is the primary benefit of a blockchain. It is what makes it revolutionary in the world of computer science. But there are other attractive features as well. Blockchains are spread widely within a network, making the records remarkably difficult to eradicate. And as the network grows, copies of the blockchain only proliferate. Entries on a blockchain are also cryptographically signed in a way that verifies the author. To masquerade as someone else on a blockchain, you would have to possess a digital key specific to that person. Finally, a blockchain is not only a place to put data, it is also a way to enforce rules on that data. In bitcoin, the rules follow a logic pertaining to currency (you can only spend what you’ve got, for example). But depending on the application being built, you could imagine a blockchain enforcing many other types of rules. Any application of blockchain implemented for nuclear safeguards would only vaguely resemble bitcoin. When most people in the field of nuclear nonproliferation refer to blockchain these days, what they’re really talking about is a variant called distributed ledger technology. Referred to as DLT, it has split the technology like a prism, and there are now people trying to collect the various hues into a proper taxonomy. “The technology is growing and differentiating,” says Vestergaard. Among those people is Sarah Frazar, a policy and training specialist at the Pacific Northwest National Laboratory, a US Department of Energy national laboratory based in Richland, Washington. In a paper published last spring, Frazar explains that the DLT iteration most likely to be of use to the nuclear safeguard community is a version called a consortium ledger. Unlike bitcoin, which allows anyone to hold a copy of the ledger and make new entries, a consortium ledger has a limited set of participants. Entries are still tamperproof, both in their content and their order. Contributions are still linked inextricably to specific users. However, fewer copies of the ledger get distributed. A consortium ledger also has one big advantage: no one outside the system can see in. Privacy can be further enhanced with cryptographic techniques that selectively shield entries, a feature that could perhaps be leveraged to meet the confidentiality demands of individual member states. In her paper, Frazar outlined a few areas in which distributed ledger technology might make an impact. Safeguard reporting, her specialty, stood out as one candidate. Safeguard reporting is the term for the process by which signatories of the Nuclear Non-Proliferation Treaty provide evidence that their nuclear activities are peaceful to the IAEA. States provide information about their nuclear programs in accordance with a bilateral agreement with the IAEA. These agreements include measures the IAEA can take to verify state claims, for instance by conducting its own inspections, taking samples, and running lab tests. If it encounters violations, the IAEA reports them to its Board of Governors. It also notifies member states in an annual report of any complications it encountered in the reporting process and any roadblocks thrown in its way. At first glance, the safeguard reporting process has many of the ingredients of a system burdened by trust, the kind that might benefit from a distributed ledger. Are there multiple mistrustful participants? Check. Do they all need to contribute data? Check. And in the current architecture, is there one single central authority managing these relationships? Big-time check. Frazar stresses that although the implicit goal of a technology like blockchain is to eradicate central authorities, replacing the IAEA should not be the goal. “You really cannot remove the IAEA from the discussion,” she says. But could part of the IAEA verification process instead be managed and monitored by a distributed system? For instance, could information that traditionally ends up in the annual safeguard implementation reports, details about when inspections took place and what they found, instead get automatically entered into a blockchain system and broadcast to those who have a right to know? Distributed ledgers, fundamentally, are a way to share data. That is their strength. But here, they inevitably bump up against the need to protect sensitive information. The bilateral member agreements that states sign with the IAEA outline the level of confidentiality they will be afforded in these reports. Therefore, these agreements will greatly impact the extent to which blockchains can be implemented. “What is a sufficient amount of data that one could make transparent that could increase IAEA confidence in knowing where material is located at any time without increasing security concerns, without violating safeguard confidentiality or proprietary information? We don’t know. This is what we’re trying to find out,” says Frazar. Is It Really Better Than the Alternative? While much attention has been given to the benefits of blockchain technologies, it’s important to note the down sides as well—the complexity, the inevitable waste that comes with redundancy. Another important point that often gets overlooked is that many of the touted features of a blockchain or DLT can be found elsewhere. Cryptographic guarantees of authorship and secure data-sharing protocols have been around for a long time, for instance. The only unique benefit of a DLT is that it allows mistrustful parties to share in the creation of a document with the knowledge that it will never be inappropriately altered. Using it to solve any other problem is likely a waste of resources. “Why use a blockchain solution when there are other types of information technologies and IT security systems that could probably do the exact same thing if not better and more cheaply, and with less confusion?” says Arnold of the Belfer Center, who was recently awarded a grant to study the applicability of blockchain technology to export control. Arnold’s point seems to guide Frazar as she looks for applications. “We’re saying let the problem drive the solution. Take a very close look at the problem you’re trying to solve. And then, once you’ve got a problem, then start thinking about how you’re going to start socializing the solution…with the member states. And that’s just a very, very long process,” she says. 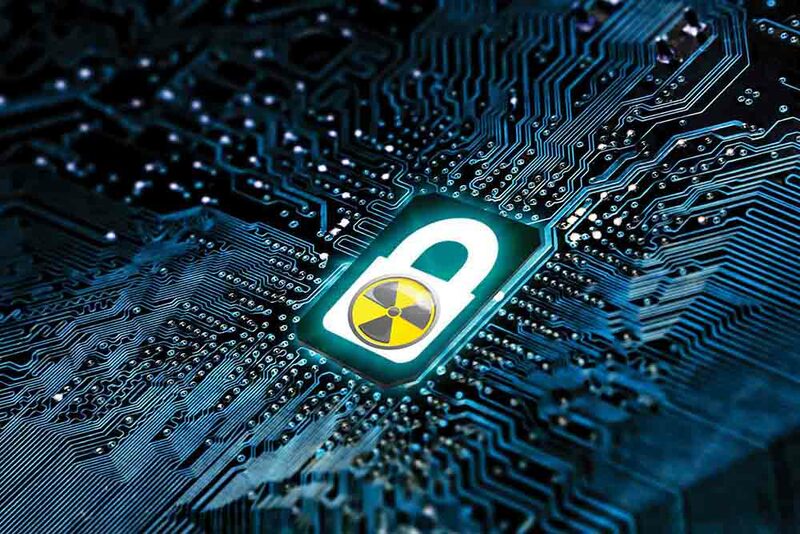 Even if blockchains are shown to be superior to what the IAEA already uses in its safeguard reporting process, it’s also an open question whether member states will have the appetite for a technological upgrade. Such a process would be voluntary and, frankly, against the observed nature of the IAEA and member states. But that discussion is a long way off. Blockchain explorers in the nuclear policy community are still at the early stages, defining the complex set of costs and benefits that comes with distributed ledger technology. We’ve been told that blockchain will change the world, that it will deliver a new and better Internet, and that it will redistribute power in every institution that embraces it. But what have we seen so far? Last year, at the height of the hype, Long Island Iced Tea Corp. changed its name to Long Blockchain. Overnight, shares in the company rose by over 200 percent. We know the word blockchain alone can change the world. Ever so slowly, we are finding out if the technology itself can do the same. Morgen Peck is a freelance writer based in New York City. Her work has appeared in Wired, Scientific American, and IEEE Spectrum. The Stanley Foundation’s nuclear policy programming examines the risks and opportunities for emerging technologies in strategic stability, nonproliferation, and disarmament. This includes efforts to support governance institutions as they consider how emerging technologies—such as distributed ledger technology—could make global nonproliferation efforts more efficient and effective. Better Than a Floppy: The Potential of Distributed Ledger Technology for Nuclear Safeguards Information Management. By Dr. Cindy Vestergaard, Ph.D.